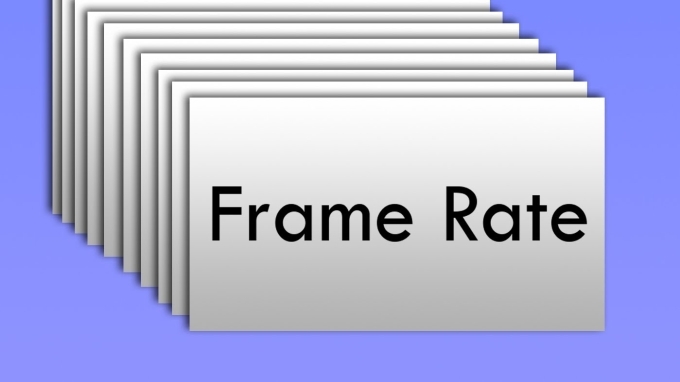 If you watch films, movies, or motion pictures frequently, you might have heard the term “frame rate”. This term refers to the frequency by which the consecutive images or frames are shown on your display. It is expressed as fps or frame rate per second. Each video has different measures depending on its country origin. Each country uses different frame rate standards. NTSC, the video system in North and South America, displays video at 29.97 fps, while PAL, commonly used worldwide, is at 25 fps. Generally, the higher the frame rate, the more disk space it consumes and the better quality of the video. The most commonly-used frame rate is 24 fps because it outputs a decent video while producing a reasonable file size. If you need to change video frame rate, scroll down for some suggestions on the best applications to use, and select the most appropriate one from the list. How to Change Video Frame Rate with ApowerEdit? The easiest yet most accurate way to change frame rate is to use ApowerEdit which is a professional video editor. With the help of this program, you can effortlessly change your frame rate to a different frequency. It provides various frame rate options such as 23.976, 25, 29.97, 60, and so on. 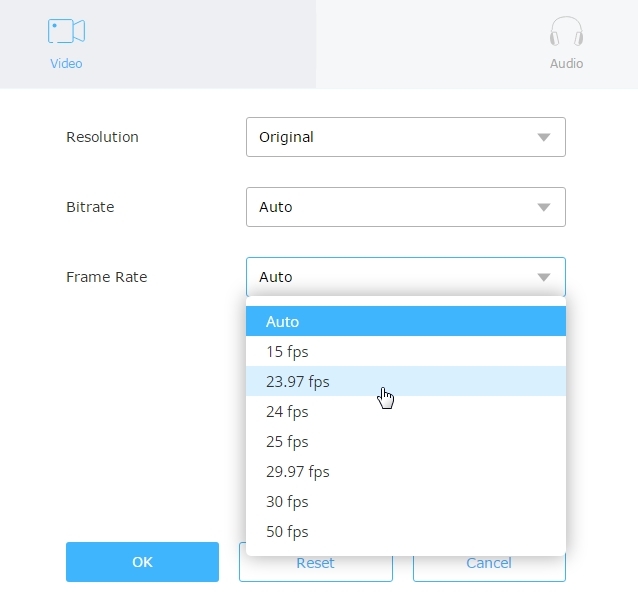 Check out the content below to learn how to change frame rate of video. Install ApowerEdit on your computer and launch the program. Choose the aspect ratio of your original video to start your project. Drag files to the main interface or click “Import” to add files to the software. Once your files have been added, drag and drop them onto the video track. Hit “Export” and wait until the program renders your file. Before you change video frame rate, you can also enhance the video and make it look beautiful. There are various editing tools, such as split, crop, merge and rotate. You can also find amazing text styles, filters, overlays, and transition effects. Video Grabber is a free web-based service that you can use to download, convert, edit and record videos. 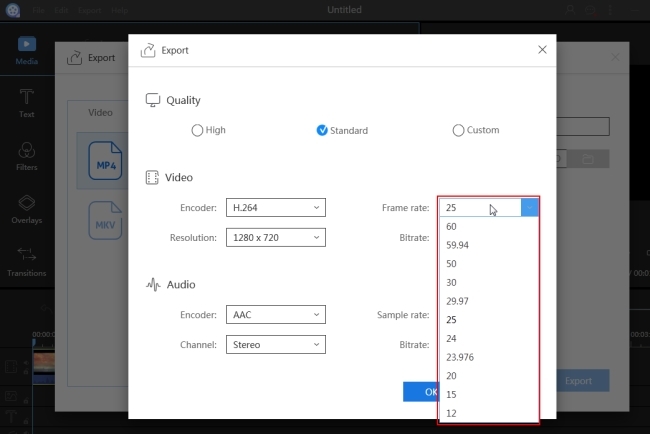 When you use it as a video frame rate converter, you can change the frame rate of multiple videos in one batch, and it will give you a high-quality output. Visit the official Video Grabber page, click “Convert video” > “Select Files to convert.” Take note that you will need to install the launcher on your computer if you have not done so already. After that, choose the file you want to edit, click “Settings” and then under “Video” to set the frame rate to your desired fps. 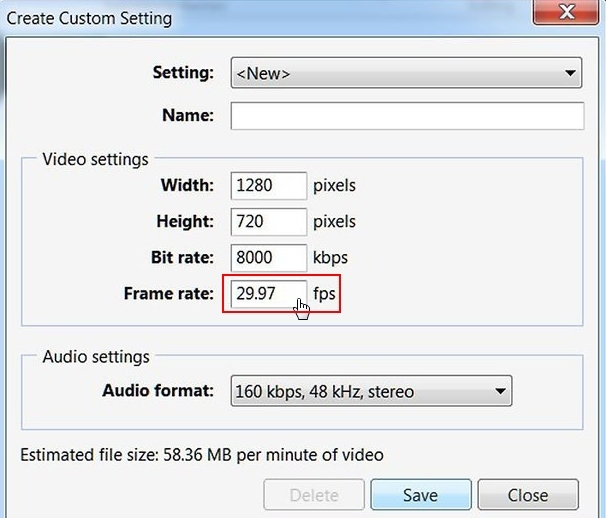 You can also change the resolution and bitrate of your video. Then press “Ok” and then “Convert.” Your file will be saved to your computer soon. VLC is also capable of changing frame rate of video. Although it is originally a media player, it has additional features like converting and recording files. When it comes to changing the frame rate, you can go to “Media” > “Convert/Save,” or you can simply press Ctrl+R to bring out the “Open media” box. Hit the “Add” button in the box to import the file you want to change frame rate and click “Convert/Save”. 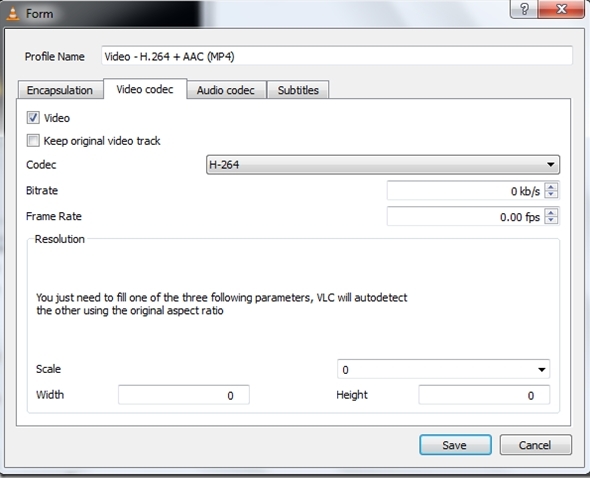 In the opened “Convert” window, hit “Edit selected profile” and go to “Video Codec.” On the frame rate box, input your desired number and then click “Save.” Hit “Browse” to select a folder in which to save the file, press “Start,” and the file will be created on your computer with your desired frame rate. Another helpful tool to change video frame rate is Windows Live Movie Maker. With its very friendly interface, even beginners can edit videos swiftly. You can merge, delete, or split videos, add text and apply transitions. If you use Movie Maker to change the frame rate, go to the frop-down “Media” menu, choose “Save” and navigate to “Create custom setting.” From the pop-up box, insert the frame rate as well as other customized settings. After that, click “Save” to export the file. iMovie is a preinstalled video editor for Apple devices. It also serves as a good video frame rate converter. 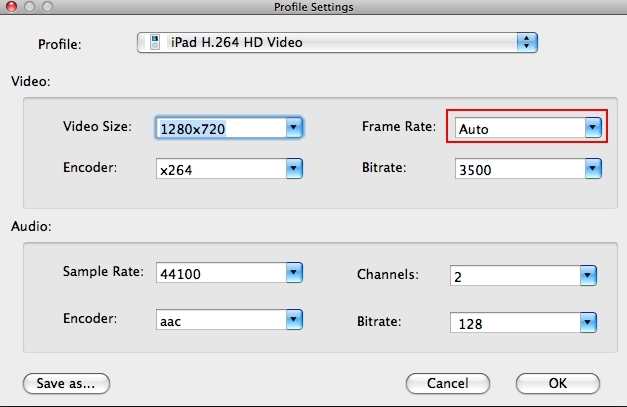 If you have no apps on your Mac to change the frame rate, try iMovie. Add the file you want to edit and then click on the “Share” menu. Select “Export using QuickTime,” from the pop up, hit “Options” button and under “Video,” choose “Settings.” drop down the “Frame Rate” and select the right fps for your project. You can customize the frame rate by clicking “Custom”. When you are all set, click “Ok” > “Save” to save the movie.